One of the biggest environmental issues of the late 1980s and 1990s was the degradation of the Earth’s ozone layer, a collection of ozone in the Earth’s stratosphere that shields the planet from the majority of the sun’s harmful ultraviolet radiation. After a concerted effort to minimize emissions of ozone-depleting chemicals, the ozone layer began to recover during the ensuing years. However, a recent study published in the journal Nature has discovered a sudden jump in emissions of ozone-depleting chemicals despite the existence of an international treaty to ban their use. The ozone-depleting chemical in question is called CFC-11, part of a class of chemicals referred to as chlorofluorocarbons. Chlorofluorocarbons (CFCs) were once released by a wide variety of different industrial components and tools like solvents, aerosol cans and refrigerators. Once scientists discovered that CFCs were responsible for the depletion of the ozone layer, and thus causing more dangerous ultraviolet radiation to hit the planet, a treaty was created to cease the use of CFCs and establish alternatives that wouldn’t degrade the ozone layer. Stephen Montzka, of the National Oceanic and Atmospheric Administration, was the lead author on the study. Montzka says that the team studying the emissions were shocked and unable to understand how emissions of CFCs were increasing despite the Montreal Protocol and the ensuing end of CFC production in UN nations. The detection of high quantities of CFCs in the atmosphere represents a clear violation of the Montreal Protocol. It’s still unclear who is generating the CFCs, and if the generation of the CFCs is accidental or intentional. CFC-11, the specific CFC detected in the study, was used as an ingredient for foam building insulation prior to the 1990s. 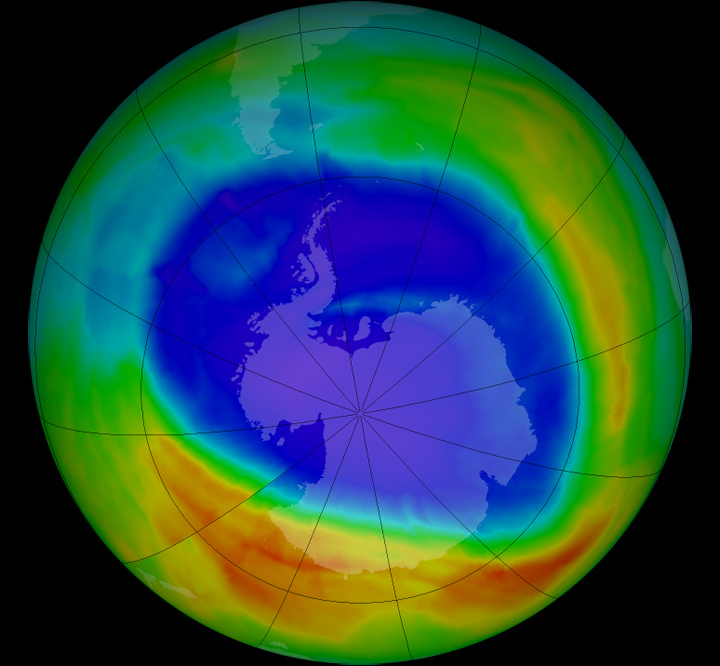 CFC-11 doesn’t do any more damage to the ozone layer than other CFCs, but it is the second more common CFC. It also tends to hang around in the atmosphere longer than other CFCs because of its chemical structure. Unlike other ozone-depleting molecules, it has three chlorine molecules instead of two. CFC-11 is also a greenhouse gas, so it exacerbates global climate change. CFC-11 concentrations have dropped precipitously since the treaty went into effect in 1989, dropping by as much as 15% from peak levels in the early 90’s. Yet though CFC-11 production was supposed to have stopped completely by 2010, evidently its production still continues somewhere. According to NOAA scientists who continue to make regular observation of air quality under the Clean Air Act, though CFC-11 concentrations are still declining, they aren’t dropping as fast as they should be under the treaty. Emissions levels have jumped by 25% since 2012, slowing the rate of decline down. We want to go for quick healing in the ozone layer, so [the damage] doesn’t persist and we don’t suffer that 10-year lag in ozone recovery date that might be realized if these emissions don’t go away. An analysis of the CFC-11’s interaction with other gases in the atmosphere implies that the source of the emissions could be somewhere in eastern Asia, though without better measuring instruments that is as narrow a range as the researchers can specify. Atmospheric scientists hope that the results from the study could be used to convince NASA to send out aircraft to monitor emissions in the region and gather more data. Susan Strahan, from NASA’s Goddard Space Flight Center, wasn’t involved with the study but says it’s odd that a country would choose to violate the Montreal Protocol given how readily available alternative compounds are. Strahan says that “there are plenty of replacement compounds”, and that it’s not clear why someone would need to use CFC-11 specifically. There’s also the possibility that the emissions aren’t being created intentionally, that a government is simply doing so without knowledge of the problem. CFCs may even be leaking into the atmosphere as a result of the poor storage and disposal of old appliances that relied on CFCs. However, Montzka says that the evidence suggests the CFCs are new creations, rather than old leakage. To determine this, the scientists looked at various potential explanations. The research team looked at the possible demolishing of old buildings containing CFC, accidental production, or even changes in atmospheric patterns. There’s little evidence to suggest that these sources could account for the massive increase in CFC, which is on the order of 13 billion grams per year. According to Montzka and his colleagues, the research team waited to publish the study until they could rule out potential alternative causes for the slowing decrease in CFC levels. The United Nations has always adopted a model that tries to help violators of the Montreal Protocol get their emissions under control. They work with leaders of the country violating the treaty to find ways of getting that nation to comply with the treaty. If a country refuses to comply with the treaty, sanctions are the first punitive action to be taken, but these sanctions have never before had to be implemented.